Twitter’s been around for nearly 8 years and has always been popular in recruiting circles, but there are still plenty of recruiters who don’t use Twitter to its full potential or are simply new to using Twitter for recruiting. 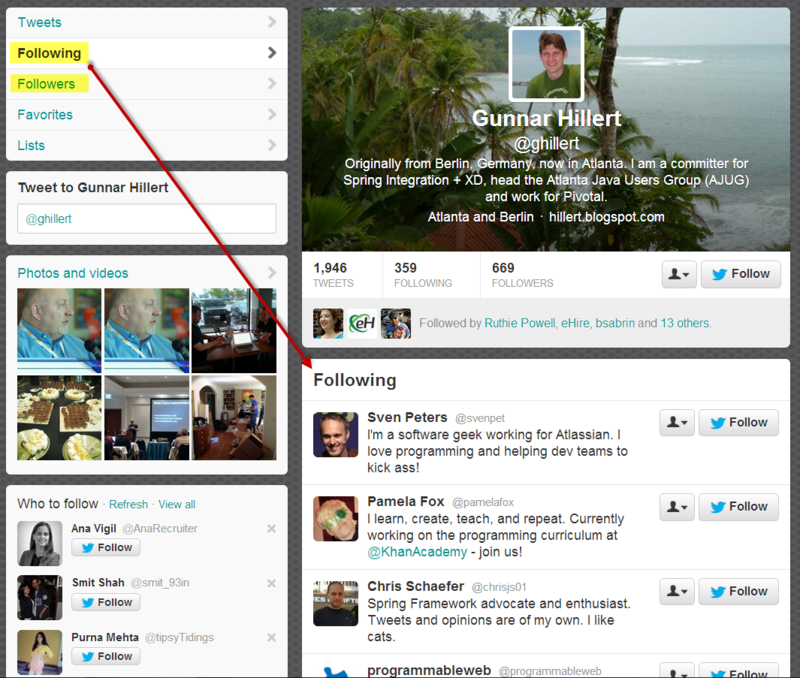 For example, just the other day I noticed in one of my Hootsuite streams a recruiter with 3 followers tweet about a job. I found this interesting so I decided to tell the world what I had seen via Twitter and LinkedIn to see what kind of a response it would generate. I got a surprising number of responses in defense of the unnamed recruiter, even though there was no attack to defend against, which I found very interesting. Many of the responses were “Hey, you gotta start somewhere,” which of course is true. However, I would argue posting jobs without a decent number of followers from your target talent pool is like buying a lottery ticket – it is a hope based action/strategy. Seeing a senior recruiter with 3 followers tweet about a job and seeing the small flood of comments I received on my observation, I decided it’s time to create a guide detailing the recipe for successfully using Twitter for recruiting. If you’re looking for a general Twitter guide for beginners, Mashable has an excellent one, as well as this guidebook with 30+ links. When it comes to recruiting, it pays to go where the people are, and there are about 1 billion registered Twitter accounts, with nearly 250 million active users monthly generating more than 500 million tweets per day. Twitter is a general social network – it’s not about friends and family or professional networking, although Twitter can be and is used for those purposes. As a completely open social network, it is very easy to use Twitter to engage and build relationships with active users in your target talent pool that you don’t already know – which can’t be said of LinkedIn and Facebook. Also, Twitter interactions are generally seen as less intrusive when compared to other forms of communication (emails, phone, text) and even other social networks, which means you can easily “be social” with your target talent pool on a frequent basis – more frequent than would be acceptable through other means. Oh, and of course, we can’t ignore the fact that Twitter is free. Twitter isn’t a universally awesome recruiting tool – it won’t and can’t really be an effective part of your overall sourcing and recruiting strategy if your target talent pool isn’t present and/or active on Twitter. I know that might be painfully obvious to some people, but I know from experience that it certainly isn’t obvious to everyone. If you’re not sure if your target talent pool has a decent presence on Twitter, see points #6 and #7 below. If your target talent pool doesn’t use Twitter, then you shouldn’t feel any pressure to use Twitter in your social recruiting strategy – that would be like paying for advertising during a show that doesn’t have any viewers in your target demographic. Of course, you could still use Twitter for general social networking and occasionally ask your network if they know anyone (who isn’t on Twitter) you might be able to help take the next step in their career, but I’d argue that you have so many other better and higher ROI uses of your time. If you don’t upload a picture, your avatar will be an egg by default. 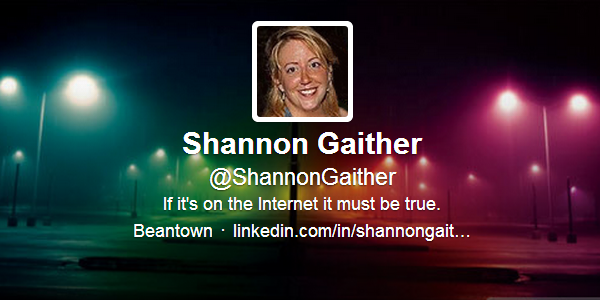 Nothing screams “N00b!” like having an egg for your Twitter avatar. Plus, I’ve always said not having a picture in your profile is like showing up to a party with a bag over your head – that would be considered antisocial. Use a picture that you think represents you genuinely and would be well received by your target talent pool. For example, a picture that would resonate well with Big 4 accountants might not resonate so well with Bay area software engineers. You can always look at other people’s pictures for reference, and I would recommend reviewing Twitter profile pictures of people in your target talent pool rather than other recruiters – after all, they’re the ones who will be looking at your profile and deciding whether or not to respond and/or follow you back. Although you only have 160 characters, having a descriptive bio that allows others to get a sense of who you are and what you do is critical. When you try to engage and/or follow people in your target talent pool, the first thing they will do is check out your profile and after noticing your photo, they will typically check out your bio to get a sense of who you are, and they will use this information when considering whether or not to respond and/or follow you back. Keep in mind that the people you’re recruiting probably don’t *need* any more online recruiter friends, so while you should obviously identify yourself by your profession in your bio (which is also helpful when people want to find a recruiter and search by that title/term), be sure to include some personal tidbits as well so people can get a sense of you as a person and not “just another recruiter.” Be sure to include your interests, both professional and personal. Also, I’ve found that a little humor goes a long way in creating a positive first impression, so if you can, I do recommend being a bit clever. If your bio can make someone smirk or smile (from laughing WITH you), you can score big points on your first impressions. It’s no coincidence that humor has always been an effective icebreaker. As I recommended with your Twitter picture, I’d look at the bios of your target talent pool and take them into consideration when crafting your own. Remember, the goal is to affect a favorable impression and ideally achieve some resonance with the folks you’re engaging and would like to attract, increasing the probability that people will respond to your engagement efforts and follow you back when they notice you’ve followed them. #5 You Have a Personality – Use It! After checking out your picture and bio, the next thing people will examine are your tweets. I have to stress again the importance of first impressions because it will have a drastic effect on response rates and your Twitter follower conversion rate (people following you back after you follow them). You should always keep in mind that ANYONE (yes, including your boss) can view your tweets unless of course you’ve protected your tweets, which I don’t recommend for anyone looking to leverage Twitter for recruiting. You have the opportunity to ensure that anyone viewing your twitter stream has a controlled experience. By “controlled” I don’t mean artificial – you should be genuine and authentic – just be mindful of how your Twitter update stream would be perceived by anyone reviewing it, including (and especially!) people in your target talent pool. On a final note, be sure not to over-share. To have conversations and build relationships with people you’d like to recruit at some point, it helps to actually have people in your target talent pool following you. For recruiters who complain that “Twitter’s not working for me,” or “I don’t get Twitter” – most of them either don’t have (m)any followers, and/or don’t have anyone in their target talent pool following them. If you have no followers and you tweet a job opportunity – that’s like going to an empty room and talking about your hiring need – no one is there to hear it! If you hire mechanical engineers and you don’t have any mechanical engineers following you on Twitter, don’t expect any results – you’re selling to the wrong people! While it can be argued that even with a small group of irrelevant (non-target talent pool) followers, posting jobs via Twitter can still produce results, it is highly improbable and definitely not the most effective use of Twitter for recruiting (see point #11). An effective way to get people within your target talent pool following you so that you can begin to build relationships with them and share specific content with them is to search for people in your target talent pool on Twitter, follow them, and if you’ve done a good job with points 3, 4 and 5 above, at worst some and at best many of them will follow you back. Finding people based on what they do for a living and ideally the general area they live in is critical to sourcers and recruiters, and the best way to find this information is to search in bios. My recommended search methods allow for this, while Twitter search does not. Additionally, whenever you find someone of interest, you can look through the people they are following as well as the people following them – both of which can be great ways to find similar people to follow, although the people you find can be located anywhere in the world – there’s no filtering. Building a following of people from your target talent pool can help you gain more followers. As new folks check out your profile, if they notice other people like themselves are also following you (say, software engineers), that added credibility can help them decide that you might just be worth following. Remember, regardless of how you find people to follow, when you find and follow someone that doesn’t know you, you can’t expect them to follow you back. However, if and when they notice that you’ve followed them and they go to your profile to check you out and you seem like a decent/interesting person that won’t spam them with jobs, there’s a good chance they will follow you back. However, keep in mind that they don’t know you, so they don’t owe you a follow-back. Beyond searching for clues in Twitter bios, you can of course search for content in tweets to find people to engage and follow. Twitter’s own search is excellent for doing so, and their advanced search interface and search syntax allow for a high degree of specificity. 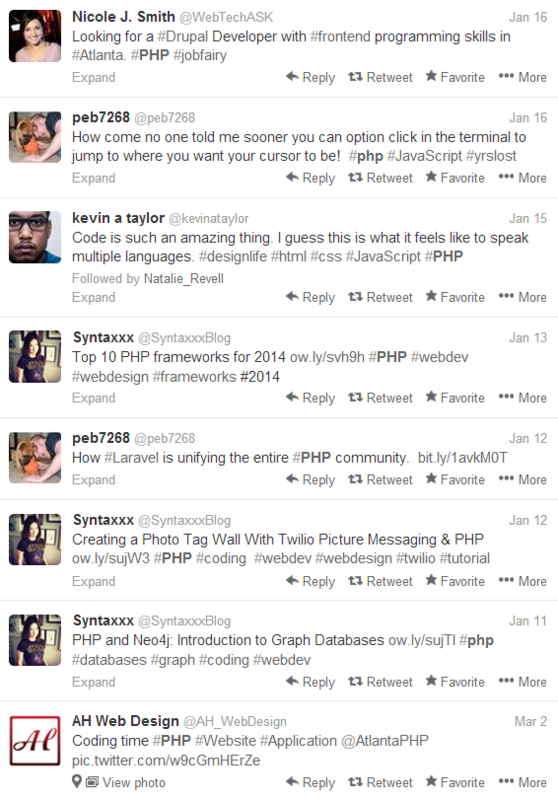 For example, here is a quick Twitter search for people mentioning #PHP within 15 miles of Atlanta. As you can see, although some false positives sneak in (job postings – which can be reduced through eliminating common job-posting terminology), there are a number of folks talking about #php in the Atlanta area. You can also save these searches if you like to continually monitor for mentions of specific terms. Speaking of continually monitoring, you can use a solution such as Hootsuite’s to listen in and monitor just about anything you would like to, enabling you to curate content you’re interested in, find people to follow, discover content to retweet/share, and find people to reply to. 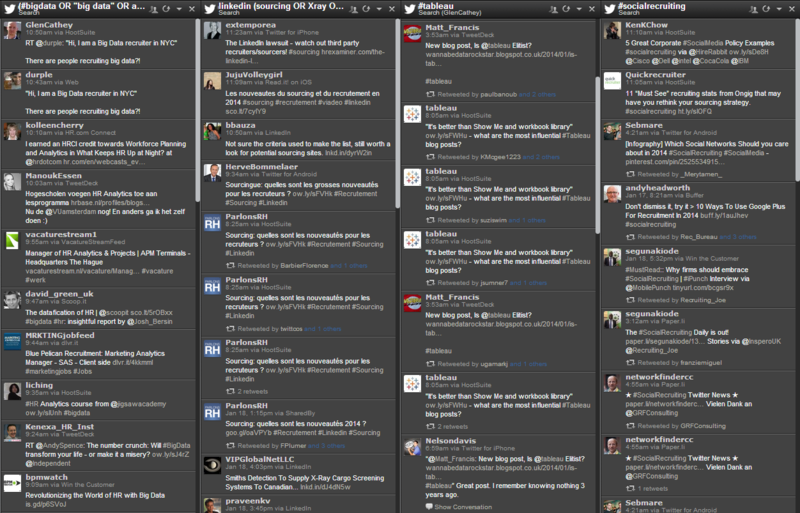 Here are just 4 of the “streams” I have configured in Hootsuite to listen in and monitor for mentions of big data/analytics in HR/recruiting, LinkedIn sourcing and recruiting, Tableau and social recruiting. This leads me to my next tip. Although I was originally a hard-core TweetDeck user, I switched to Hootsuite because I wasn’t happy that TweetDeck wasn’t web-based. I haven’t looked back – Hootsuite is an awesome social media solution that offers quite a bit for free, as well as premium features. As I showed above, you can use Hootsuite to configure searches to create custom streams of content, allowing you to essentially keep your finger on the pulse of anyone mentioning what you’re interested in, which can help you identify people to follow, reply to engage, or simply content to retweet. 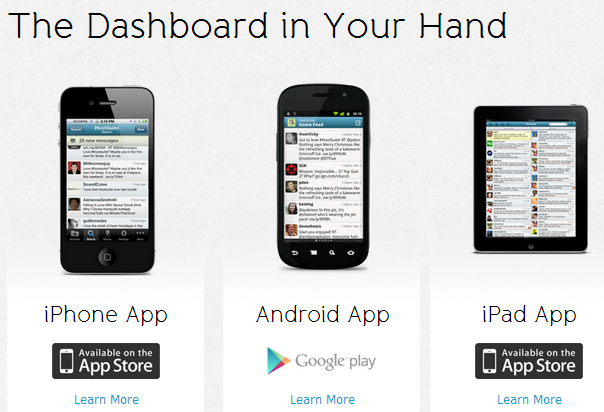 With Hootsuite, you can sync multiple social accounts (LinkedIn, Facebook, FourSquare, etc.) and update them all at once from Hootsuite – it’s a brilliant solution for managing multiple social networks. While I’ve successfully linked a Google+ page, I unfortunately haven’t found a way to sync my personal Google+ account with Hootsuite that actually works. If you’ve discovered a method – please do let me know. Additionally, Hootsuite’s mobile apps are very solid, allowing you to monitor your streams and take action while on the move, as well as simultaneously update multiple social networks with a single post. I use Hootsuite’s mobile apps to post to multiple social networks as well as check my streams to stay up to date and email articles to myself (often!). Twitter poses a serious information retrieval challenge in that there isn’t much to text to search (160 character bios, 140 character tweets), and not everyone will mention words clearly identifying their profession in their bios or tweets. Keep in mind that your target talent pool that is active on Twitter isn’t using Twitter like they would LinkedIn. While someone would use a title of “software engineer” on their LinkedIn profile, on Twitter they might mention that they “sling code,” or that they are a “Java champion,” or simply an “I.T. Nerd” in their bio. In addition to searching by terms that people might use to describe what they do for a living, you have to also consider what other text your target talent pool might mention on Twitter without directly mentioning conventional search terms. 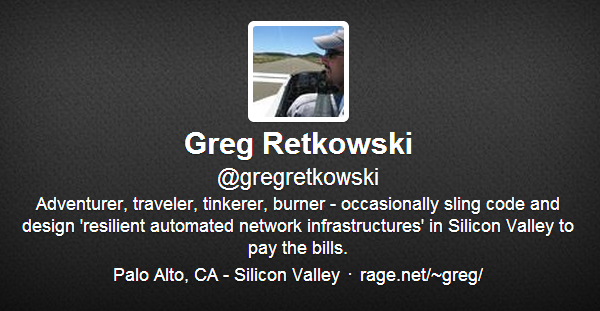 For example, this person references #AJUG, which is the Atlanta Java Users Group. A search for “Java” would not return this person because they simply don’t mention it. All of this means that you have to think quite differently when it comes to searching for your target talent pool on Twitter than practically anywhere else. For a more in-depth look into how you need to think when searching for people on Twitter, I strongly suggest you read this article on how to effectively source talent on social networks. 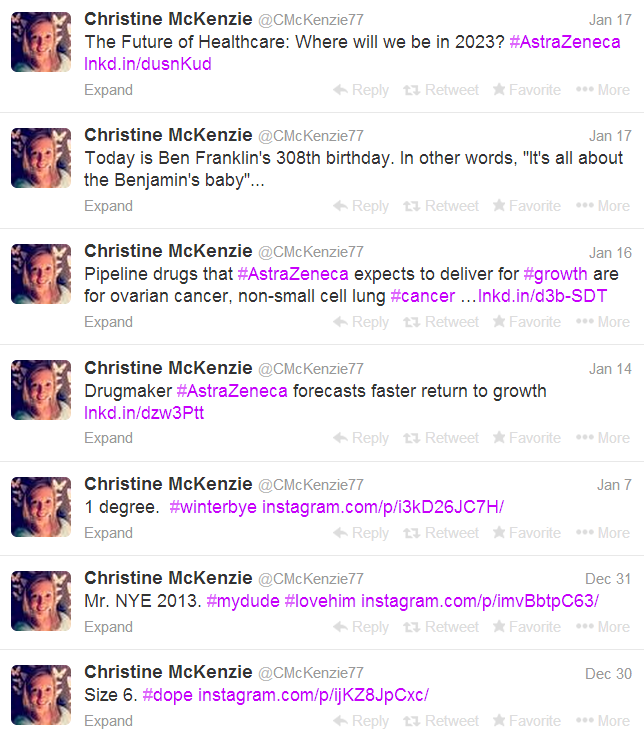 Perhaps the easiest way to cultivate a relevant following on Twitter doesn’t involve any searching at all. Whenever you speak with a potential candidate, simply ask them if they are on Twitter. If they are, then suggest reciprocal following (you follow them, they follow you). If they are not on Twitter, suggest that they look into it – and if/when they do, suggest reciprocal following. People are MUCH more likely to follow you back on Twitter after they’ve interacted with you over the phone and/or in person and have a sense of who you are – you will get a higher conversion rate this way over simply searching for people and following them. If you talk to 10 potential candidates per day, that would mean 50 opportunities every week to add the right people to your network on Twitter. #11 Don’t Just Post Jobs! 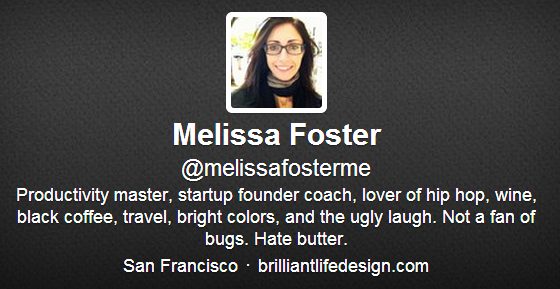 Now, I am not suggesting you can’t make hires from posting jobs on Twitter, because it is possible. However, posting jobs isn’t a social activity – it’s broadcasting. If your goal is to use Twitter to find, engage and build relationships with your target talent pool, then spewing jobs at them isn’t going to help you, it’s going to hurt you. Job seekers are always the minority of the talent pool – at any point in time, the majority of people simply aren’t looking to make a career change. If you smother people who aren’t looking for jobs with jobs, what do you think the result will be? I am not saying to never let your Twitter followers and the Twitterverse know you have job opportunities, but I suggest that the majority of your content should not be job opportunity-related. 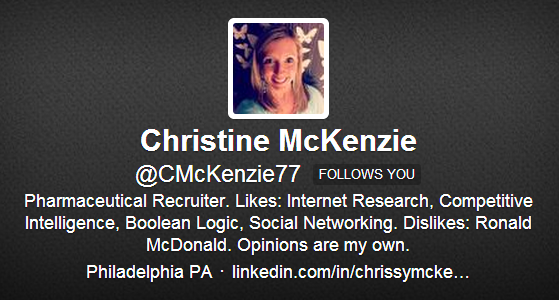 Sure, you’re a recruiter, and you have job openings, but that should not be the only thing you tweet about. Far from it. Constantly posting “are you looking?” / “do you know someone for this position?” tweets would annoy practically anyone. When people tell me they don’t know what to say on Twitter, I often advise that they tweet the things they typically would share with coworkers. It’s okay to tweet about the weather, your morning commute, the owls you heard hooting in the woods behind your house, last night’s game or the movie you just saw, an article or book you just read, a conference you’re attending, etc. That’s “small talk,” and you probably do it all the time with your friends, peers and family, but of course you don’t think about it – it just comes naturally. Small talk is essentially social lubricant – you’re likely already applying it to every phone conversation and interaction you’re having with your potential candidates, so it’s equally applicable to your online social interactions as well. Of course, don’t overdo it with the small talk – in order to attract more followers and keep them engaged, think about what your followers would find interesting, and remember they are people first, potential candidates second. Now, when it comes to breaking the ice with people you don’t know or are just beginning to establish a relationship with, asking questions is perhaps one of the easiest, most effective methods. As an example of just how easy it is, I was in in the middle of training some new recruiters last November and I performed a quick search to find some I.T. folks. We found someone with a profile picture where he was enthusiastically pointing at something, but none of us could figure out what it was. The training class wondered if he would respond if I asked him, so I did. He responded in 1 minute. Yes, it’s that simple. When you see someone you’d like to engage on Twitter, simply check out their Tweets to see if there are any opportunities to ask questions about what they’ve posted. 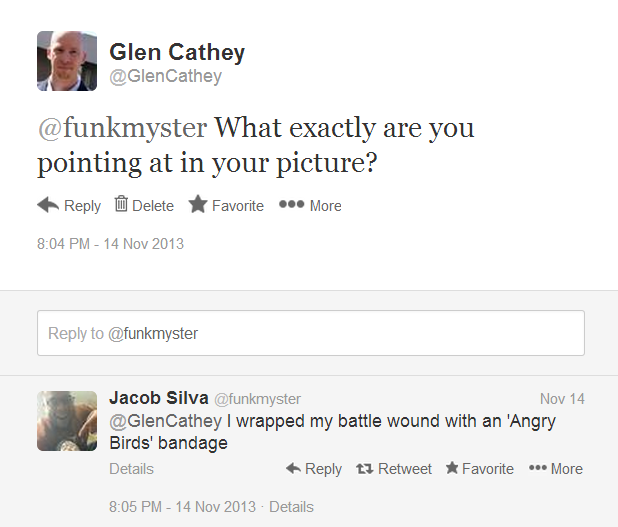 Engaging people on Twitter is really no different that striking up a conversation in person. You hear someone talking about the game last night, a book they read, a work challenge, etc., and you can easily jump right in with relevant content and/or questions…engaging people in two-way conversations is social. Yes – being social online is a lot like being social in person. Ultimately, people like helping people they like, and people like people they feel that they know. Your followers can get a better sense of who you are as a person if you actually share something about yourself other than the positions you’re working on. So when you DO have an awesome position you’re trying to fill with the right person, when you tweet about it – if your followers feel they know you, they are MUCH more likely to help you out by either referring people to you or by retweeting your tweet. 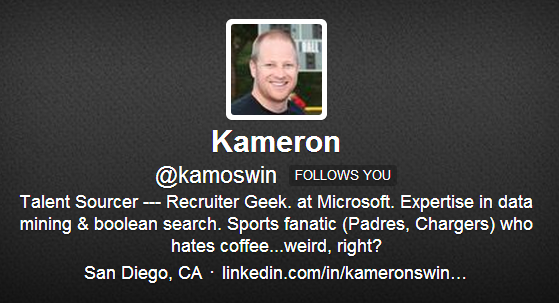 That’s exactly how a recruiter I know made 3 software engineering hires in 6 weeks with Twitter. If you don’t already understand hashtags, I recommend you read Mashable’s beginner’s guide to the hashtag. When tweeting, whether you’re asking questions, replying to others, or when you do get around to socializing job opportunities on Twitter, using the right hashtags can give your tweets reach beyond your followers. For example, if you were to be looking to network with Atlanta area Java developers on Twitter, you could could ask a question and use #AJUG, so that anyone following the #AJUG hashtag (presumably software engineers with an interest in and/or experience with Java, along with other savvy recruiters on Twitter of course) would likely see your question. Similarly, when you do post a job in your Twitter updates, it can be wise to tag the job with an appropriate keyword (e.g., #sales, #java, #nursing, etc. ), location (e.g., #ATL, #Atlanta), and job terminology (e.g., #job, #jobs, etc.). Using hashtags like these can help if/when someone searches on Twitter for these terms, and sometimes even when people use a search engine like Google to search for jobs, although they will not typically rank very highly. However, don’t go overboard. I’ve seen some job-related tweets are nothing but a link and hashtags, which I believe is overkill and unnecessary. If you’re new to using Twitter for recruiting, it can take a while to build a network of followers in your target talent pool. However, as with most things in life, you get out what you put in. Everyone starts with 0 followers, and while it might feel odd tweeting when basically no one is “listening” to what you have to say, if you consistently dedicate the time and effort to building your Twitter network and follow points 1-13 above, it won’t be too long before you’ll be able to share your Twitter recruiting first success story. 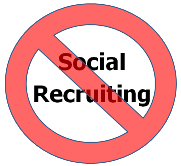 Recruiting has always been social, and the rise of social media and social networking sites has simply provided recruiters with a 3rd means of communicating with their target talent beyond phone and in-person conversations. Twitter was the first major social networking site to really shine when it comes to enabling and facilitating real-time/near real-time online interaction with people you didn’t already know. Many of Twitter’s features/functionality have been copied by other social networking sites like Facebook and LinkedIn (feed-style content, hashtags, @mentions, etc.). Twitter can only be an effective recruiting tool if your target talent pool uses Twitter. Go where the people are. The more followers you have that are in your target talent pool, the greater the Twitter recruiting opportunity, so be sure to diligently work to cultivate a targeted and relevant group of followers. Be social – be yourself, get to know others, and don’t be just another job opportunity spammer. Contribute, add value, and help others. What goes around comes around. To that end, when you see a (or are followed by that) recruiter who obviously just started using Twitter, who has no (or a bad) bio, no picture, and/or their first 2 tweets are about job opportunities – please point them to this article to help them use Twitter more effectively for recruiting.